Stunning home located in the highly desirable Rice Ranch community! This home offers a rare 3 car garage AND air conditioning! The home features granite and travertine counter tops, tile floors, beautiful fire place, open floor plan and the master suite is located on the main floor! Breathtaking views of sunsets and the benefit of not having neighbors across the street completes this just under 2,400 Sq Ft home. 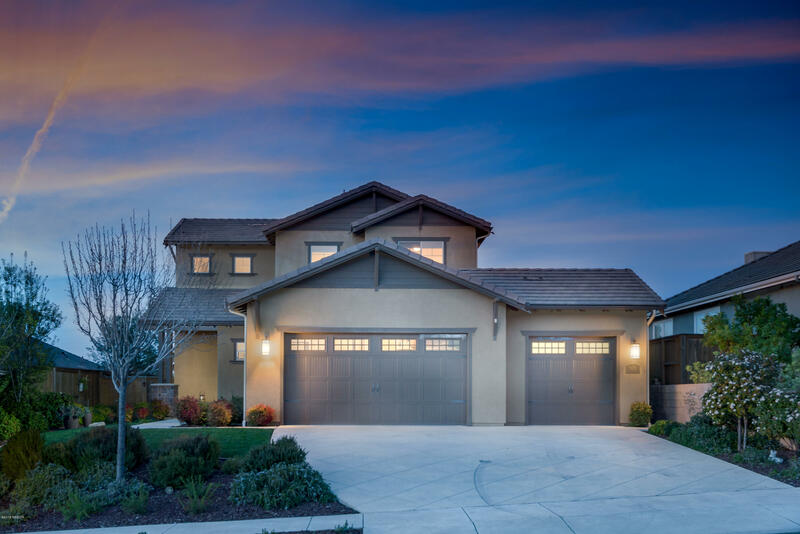 Fully finished contemporary backyard, and the convenient location to mountain bike and hiking on Orcutt Hills Trails makes this a perfect place to call home. Stop by today!